Tout ce dont vous avez besoin pour éditer et réparer les pistes audio rapidement et simplement! L'offre gratuite du jour pour AudioDirector7 LE était valable le 4 avril 2018! CyberLink AudioDirector7 vous donne un contrôle total sur l'édition, le mixage et la maîtrise de la bande-son, des effets sonores et même du dialogue de votre vidéo. Les outils de restauration de pointe vous permettent de restaurer et de travailler avec des fichiers présentant des défauts ou des imperfections audio. L'intégration transparente avec PowerDirector16 garantit un montage aller-retour efficace et des temps de production réduits. Vous pouvez également éditer directement les sons dans les vidéos existantes et les enregistrer dans des formats de fichiers vidéo populaires. Audio Mixing Tools: 4-tracks mixing and recording. Avec une interface intuitive et un ensemble de fonctionnalités inégalé, PowerDirector offre une édition de performance haut de gamme pour les vidéos standard et 360º. Construit pour être flexible, mais puissant, PowerDirector reste la solution définitive de montage vidéo pour tout le monde, qu'ils soient débutants ou professionnels. 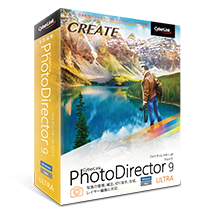 La solution de retouche photo définitive, PhotoDirector9, propose une large gamme d'outils faciles à utiliser, conçus pour créer de superbes photos de famille, des photos de voyages et de paysages et des portraits parfaits. Tous livrés avec un ensemble inégalé de formats RAW pris en charge, des profils d'objectif et maintenant créer des photos à partir de photos et vidéos 360º. kui, Ardour is shareware, not freeware, from 4.0 version on! Important things first, the download includes a downloader application that downloads the real setup. That is all i could spot in a timeframe of short 15 minutes. What do we have there? It's all nags. 14 nags. Why would anyone in their right mind shell out 50 or 60 bucks for a Light Edition that hides so many features behind nag screens, that it's literally unbearable to properly work with it? I would chose Audacity ten times over this, people will always search for solutions and i'm not talking about piracy, people will simply move on to things that respect their time. Which marketing department would come up with this? A department consisting of music professionals that use such programs themselves vs. people that never worked with such a program and only see dollar signs in their eyes. I can't think of any other company out of the box that teases missing features so much than CyberLink does it. Professionals know very well how important workflow is, no matter in which production cycle, they wouldn't dare to throw 14 nag screens at you, nag screens that are as unobvious as any other feature that actually does work, so you click on it with huge expectations and what you get is a nag that almost feels like desperately trolling it's own users repeatedly. Why not disabling these features beforehand? Why not cutting them out completely? WYSIWYG is definitely not what you get here, all in all, Audacity gets the job done as good, there is no reason to choose this program over it. Personally, i'm a bit mad now and fed up with this company because they know very well how bugging this is and i can't wrap my head around this edition being actually sold as is with all the nag screens in place. Other free alternatives: Ardour (comprehensive), WaveShop (moderate), Ocen Audio (lightweight). Important things first, the download includes a downloader application that downloads the real setup. As usual, LE stands for Light Edition, the things that make it lighter are: -> Edit -> Adjustment -> Adjust Audio: - Pitch Bender - Reverse -> Edit -> Adjustment -> Apply Effect: - Dynamic Range Control (DRC) - Phaser - Flanger - Chorus - Echo - Vocal Transformer - Stereo Expander - Vocal Removal in Music -> Restore -> Adjustment: - Clipping Removal - Click Removal - Hum Removal - Hiss Removal That is all i could spot in a timeframe of short 15 minutes. What do we have there? It's all nags. 14 nags. Why would anyone in their right mind shell out 50 or 60 bucks for a Light Edition that hides so many features behind nag screens, that it's literally unbearable to properly work with it? I would chose Audacity ten times over this, people will always search for solutions and i'm not talking about piracy, people will simply move on to things that respect their time. Which marketing department would come up with this? A department consisting of music professionals that use such programs themselves vs. people that never worked with such a program and only see dollar signs in their eyes. I can't think of any other company out of the box that teases missing features so much than CyberLink does it. Professionals know very well how important workflow is, no matter in which production cycle, they wouldn't dare to throw 14 nag screens at you, nag screens that are as unobvious as any other feature that actually does work, so you click on it with huge expectations and what you get is a nag that almost feels like desperately trolling it's own users repeatedly. Why not disabling these features beforehand? Why not cutting them out completely? WYSIWYG is definitely not what you get here, all in all, Audacity gets the job done as good, there is no reason to choose this program over it. Personally, i'm a bit mad now and fed up with this company because they know very well how bugging this is and i can't wrap my head around this edition being actually sold as is with all the nag screens in place. Other free alternatives: Ardour (comprehensive), WaveShop (moderate), Ocen Audio (lightweight). Conspicuous by its absence, however, is any comparison between AudioDirector 7 and AudioDirector 7 LE. This particular Taiwanese developer has pretty much cornered the market in inventing LE (Limited Edition), SE (Special Edition) and DL (DeLuxe) versions of programs that are only discovered to be crippleware after installation. Cyberlink has been told time and again about unethical sales tactics, and might've been thought by now to have understood how counter-productive those tactics are: I've had one experience of a stripped- back 'SE' version of its PhotoDirector, but that was enough to dissuade me from ever wasting time on Cyberlink again. Hopefully other GOTDers will try today's offer and report back to show that their faith has been justified. For me though, if I'm to commit to a 178Mb install then I'd like to be certain that the software to which I'm devoting my time is accurately described and honestly represented. Fool me once, Cyberlink. But never twice. 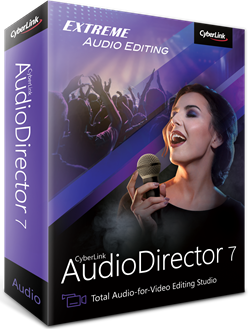 Cyberlink's AudioDirector 7 is the predecessor to the current version of this software; comparison chart here: https://www.cyberlink.com/products/audiodirector/compare-versions_en_GB.html Conspicuous by its absence, however, is any comparison between AudioDirector 7 and AudioDirector 7 LE. This particular Taiwanese developer has pretty much cornered the market in inventing LE (Limited Edition), SE (Special Edition) and DL (DeLuxe) versions of programs that are only discovered to be crippleware after installation. Cyberlink has been told time and again about unethical sales tactics, and might've been thought by now to have understood how counter-productive those tactics are: I've had one experience of a stripped- back 'SE' version of its PhotoDirector, but that was enough to dissuade me from ever wasting time on Cyberlink again. Hopefully, today's 'Limited Edition' isn't just another disguised sell-up attempt to maneuver a user from crippled product to full product. Certainly, nothing on the developer's promotional page suggests it's anything other than the full product: http://www.cyberlink.com/stat/edms/Giveaway/GOTD/ADR7LE/index.jsp Hopefully other GOTDers will try today's offer and report back to show that their faith has been justified. For me though, if I'm to commit to a 178Mb install then I'd like to be certain that the software to which I'm devoting my time is accurately described and honestly represented. Fool me once, Cyberlink. But never twice. point 1: LE editions of their products are never retailed so this is not a giveaway of a comercial product but a giveaway of a product that they bundle with OEM hardware at no charge to try and upsell their commercial products. point 2: They state above "Everything you need to make editing and fixing audio tracks fast and simple!" If that were true why produce anything other than the LE edition? Since it has "Everything you need"
point 1: LE editions of their products are never retailed so this is not a giveaway of a comercial product but a giveaway of a product that they bundle with OEM hardware at no charge to try and upsell their commercial products. point 2: They state above "Everything you need to make editing and fixing audio tracks fast and simple!" If that were true why produce anything other than the LE edition? Since it has "Everything you need" I'll stick with Audacity. It downloaded and installed OK on Windows 7. 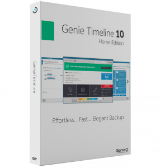 I was interested in this offering because of claims that it seamlessly integrates with PowerDirector. 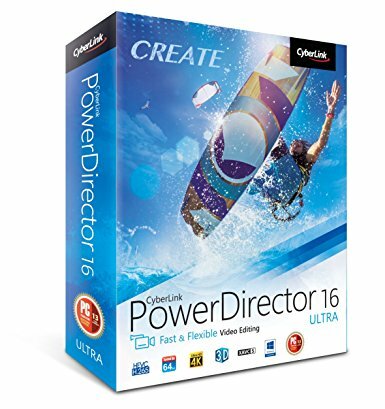 GAOTD offered PowerDirector 15 LE in February and I had installed that, so, I was interested in the "seamless integration" with PowerDirector. Well, after installing AudioDirector7, I loaded up PowerDirector, right-clicked a video clip with audio, selected Edit/Audio Director and with some hope, AudioDirector opened...BUT, it immediately shows the message that "that feature is not available in your version" blah blah blah "please click to upgrade." So, this GAOTD from CyberLink is *not* compatible with the previous GAOTD from CyberLink. Give some truth to the first post about today's GAOTD by @MikeR below.